For testing of below ground tanks and associated pipework, County Pumps are pleased to be able to offer the approved Mass Tech test system. Tank testing is one of the most essential procedures a site can include in their maintenance schedule to ensure the integrity of any below ground tanks and associated lines are maintained. This gives an accurate record of each fuel installation to confirm there is no current pollution or environmental risk being posed to the site. With all equipment buried underground, no visual checks are possible and pressure testing is the only procedure available to determine there is no problems or leaking evident on the tanks, pipework or associated joint and valve connections. The importance of keeping accurate fuel records is always paramount but with any below ground tank and lines, fuel stocks and issues should be monitored carefully. 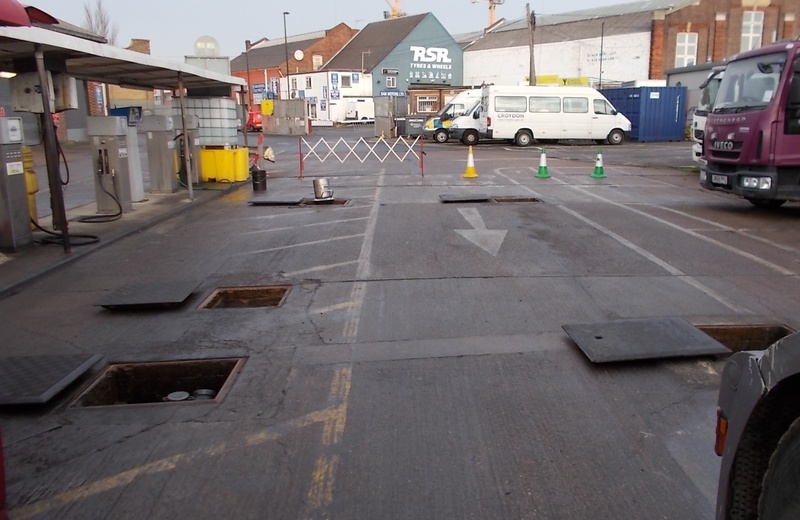 Tank manholes should be kept clean and dry and inspected at regular intervals to see if there is any signs of fuel present. The age of the installation determines the recommended test frequency and we would look to offer testing, as a minimum every two years, for installations over 20 years. For the majority of our customer sites, annual testing has been put into place and considered best practice. For each installation, line test, wet test and ullage test combinations are carried out to give full certification on the installation. Line testing can be offered on either full or empty lines, with three levels of pressure applied to record the precise area of a failure if identified. For tank testing, this is carried out in two parts through the wet area (product level) and the ullage (dry space above the product). Wet testing is undertaken using a probe being lowered into the vessel and this magnetically anchors to the tank bottom. This provides data for the wet test and records nitrogen bubbles that exit the probe into the liquid, recording waves onto the Mass Tech sensor. The bubble release signature is affected by the mass of the product in the tank and this determines the change of mass of product in the tank during the test. For the ullage space, this includes the dry wall areas of the tank system, the vent line and any direct fill. The tank system is pressurised to 10 kPa using nitrogen and the period of test is set based on the amount of ullage present. The test measures and calculates the mass of nitrogen needed to replace any loss that is experienced during the test, to give an ullage result. Should the ullage space fail, further diagnostic procedures are carried out to determine if this is within the tank vessel or associated fill or vent lines. County Pumps are pleased to assist with below ground fuel installation testing and will help to keep a comprehensive record on each site and send reminders on test schedules to ensure regular testing is maintained.